Herford College of Oxford University share their Longbridges boathouse with us. 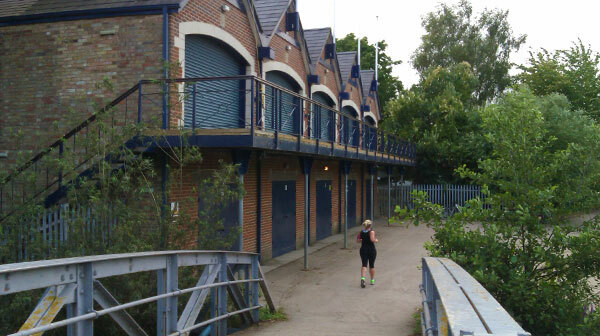 City Barge occupies six boat spaces, and we have the use of a workshop for boat maintenance. There is a clubroom above the boat storage area where we have meetings, and social events. The balcony outside the clubroom has a wonderful view of the river. The club rents part of a barn for storing boats and trailers indoors. Larger boats, which do not fit into the boathouse, are stored here. The barn has space for ten boats. It is just outside Oxford. We store the shallop “Royal Thamesis” here, on a trailer, ready to go to events. 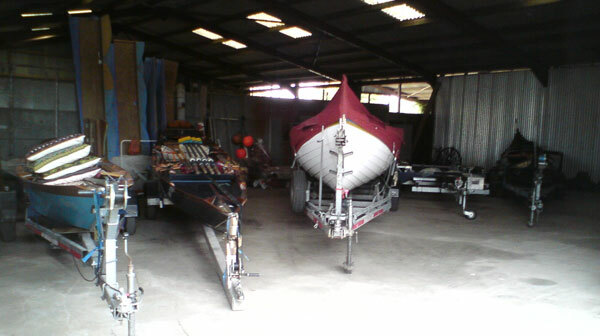 We store three club trailers in the barn for moving flat bottomed boats. Other spaces are rented out to members who keep boats on trailers in the winter and leave trailers in the summer. 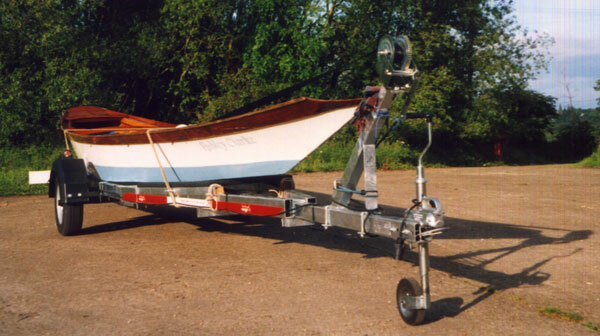 We have three club trailers for flat bottomed boats, and a trailer for the shallop. They are used to take boats to other interesting waters in the UK and abroad. We have been as far afield as Paris, Frankfurt, the south of France, and Portugal. The club also has a box trailer in the barn at Oxford with a box 1.8m long x 1.2m wide x 0.6m high. Please contact Richard Bailey if you want to hire it. We meet here on most Saturday mornings at 9.15am.